As much as I like hummus (and I reeeeeally like hummus) I have only made it myself a few times over the years. 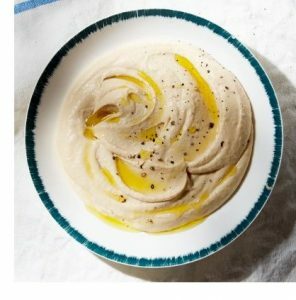 There really is no excuse for that as hummus is super easy to make as demonstrated by this recipe for Basic Hummus I found from the fine folks at Family Circle magazine. Find the recipe for Basic Hummus from Family Circle magazine here. 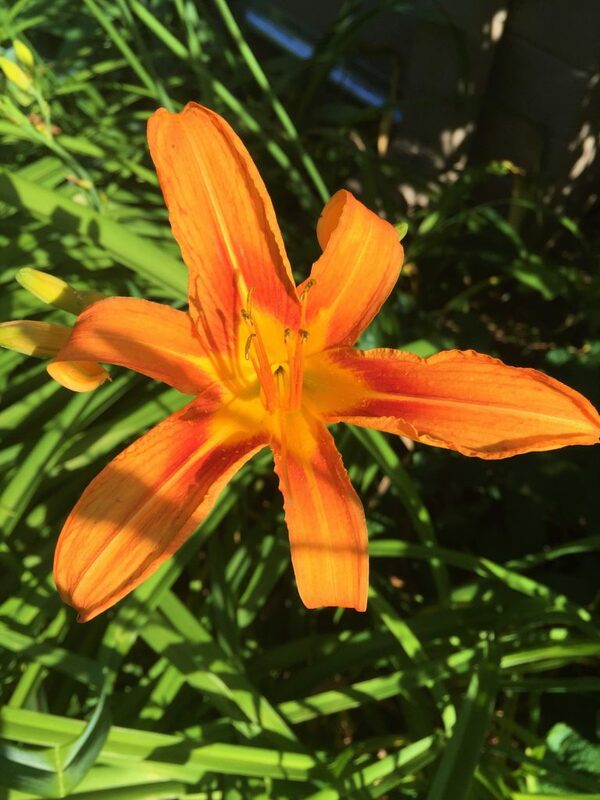 See all the great recipes and tips for the home from Family Circle here. 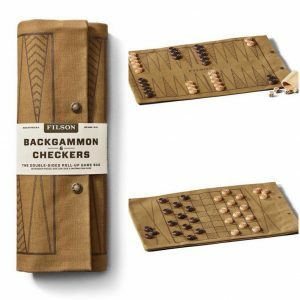 I like bringing a game along on road trips and picnics – it is fun to play a game after dining or exploring outside – or whenever the mood is right. That is why I fell in love with the Original Travel Game Bag I found from the fine folks at A Summer Shop – the perfect portable game set for your summer. Find the Original Travel Game Bag from A Summer Shop here. See all the cool stuff from A Summer Shop here. 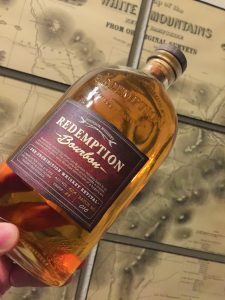 When I was back in New Hampshire last month visiting the family lodge in the White Mountains, I picked up a bottle of Redemption Bourbon – part of the Redemption Rye Whiskey collection – and it was excellent. 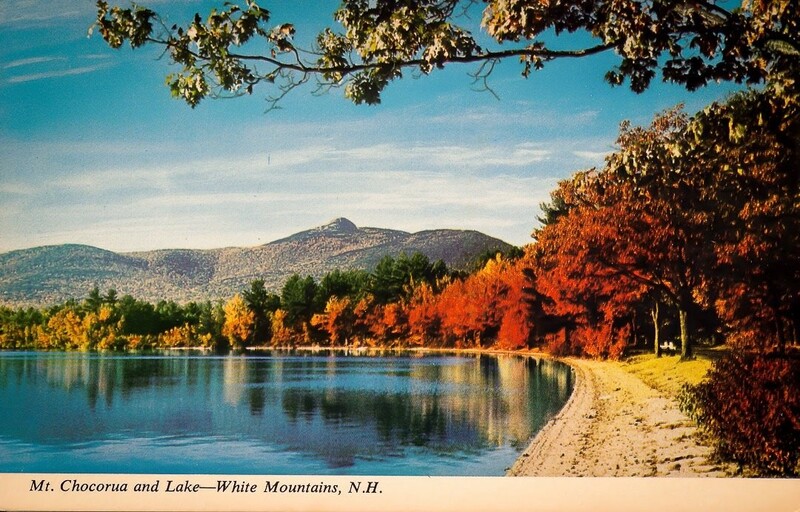 My only problem is I left the still nearly full bottle back in New Hampshire for my next visit – which can’t come soon enough. Learn more about Redemption Bourbon here. While hanging out with my traveling companions in Chicago and talking about all the great things to do in the city, visiting the great Art Institute of Chicago was a common topic. I have been there many times, but none of the others had been but wanted to, but never made it. I chalked it up to there is so much to do in the city – especially in the summer – and the museum, as awesome as it is, will be there the next time you visit. 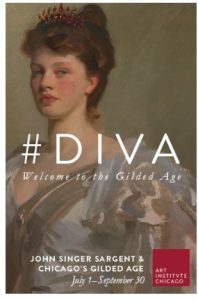 Anyway, I have discovered the best excuse to visit Chicago again this summer and make a point to stop in Art Institute of Chicago – the John Singer Sargent and Chicago’s Gilded Age exhibition opening July 1 and running through September 30, 2018. Learn more about the John Singer Sargent and Chicago’s Gilded Age at the Art Institute of Chicago here. Visit the Art Institute of Chicago online here. 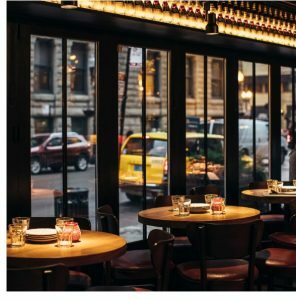 I checked out a few great places to eat while in Chicago for an extra-long weekend – here a couple of my favorites new finds. My first stop while waiting for my traveling companions to arrive in town by train, was The Purple Pig. 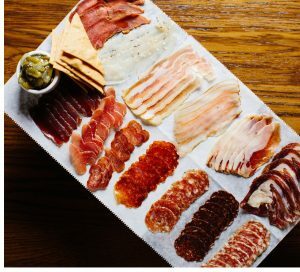 I had seen stories and reviews of this place and had it on top of my list to try – heck, you have to love a place that has a whole list of cheeses and cured meats to choose from – and I was not disappointed. I have been to Chicago many times since this place opened and I was sad that I had not found it until now – but I will be back. I went for a casual lunch, which was nice, but I plan to do a more formal dinner on a future trip. Try the hummus – served with a soft-boiled egg and house-made pita – the perfect companion to a cheese and meat platter. 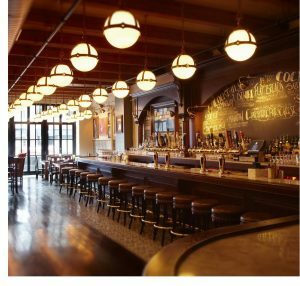 The Purple Pig is located at 500 North Michigan Avenue – the heart of Chicago’s Magnificent Mile. Once my traveling companions arrived and we enjoyed a cruise on the Chicago River, we settled in for a nice dinner at Il Porcellino. 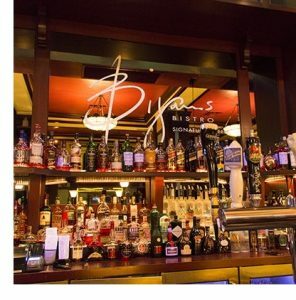 This was the perfect place to relax and enjoy each other’s company on the first night of our long Chicago weekend. The setting is fresh and lively with great décor and stunning lighting. And oh yeah, the food – Italian favorites with a modern twist – was great too. Il Porcellino is located at 59 W. Hubbard St. in the great city of Chicago, IL USA. 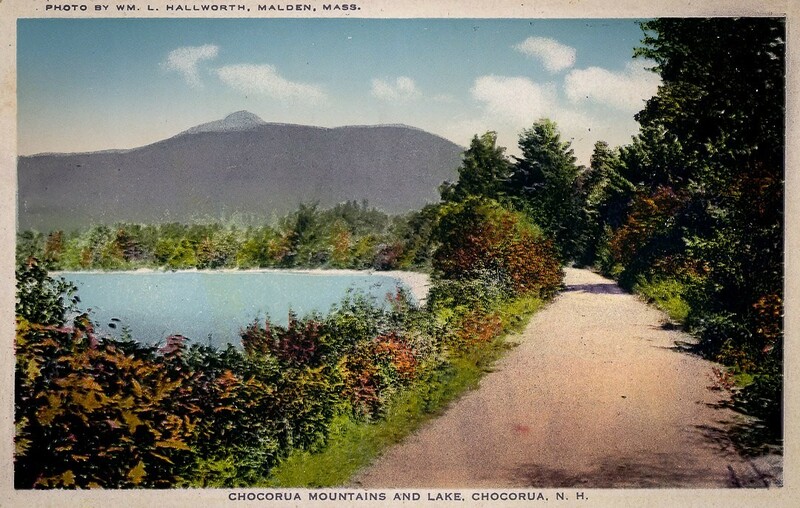 I guess I am homesick, as I can’t stop looking for pictures of my favorite spot (the scene of Mount Chocorua across the Lake from Tamworth, NH) like these vintage postcards. Every time I visit Chicago I am inspired to take tons of pictures, some of which have actually turned out pretty cool. However, I am not alone, the city has inspired millions of photographers over the years, including some of the best ever. Now, in Chicago: Classic Photographs, we are treated to some great images by great photographers beautifully curated by Richard Cahan and Michael Williams. 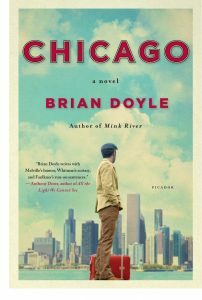 What struck me most when flipping through this book is the timeless quality of the great city – which is ever changing, yet always classic. 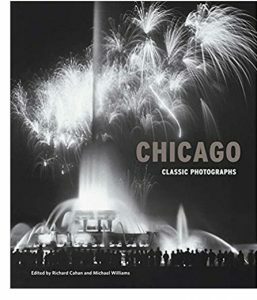 Chicago: Classic Photographs edited by Richard Cahan and Michael Williams is available from Amazon and other fine book sellers. Lost Cowboy is powered by	WordPress 5.0.4 and delivered to you in 0.878 seconds using 58 queries.